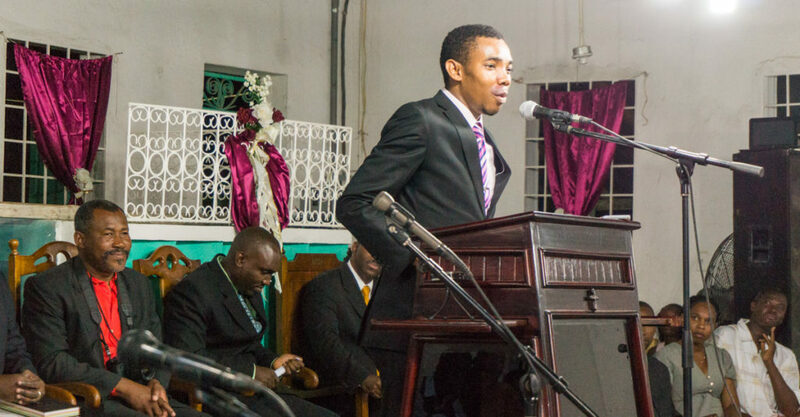 Indeed, the Lord has tried and trained our faith in this battle for Josué Laguerre’s life! God has sustained us in this battle and amazingly protected Josué’s life, beginning with his contracting typhoid fever, progressing to pneumonia, on to severe anemia with a dangerously low blood count, and throughout the high fevers that lasted for 48 days. Family and friends watched him deteriorating daily as fever and infection coursed through his body with no apparent relief in sight and no successful diagnoses from the doctors. Finally, the decision from the primary care doctor to save Josué’s life was to medevac him out of Haiti. But the cost was staggering ($25,170) and momentarily left us stunned! However, we knew this was the only way to go. As we have already shared, Cuba was the destination chosen for two reasons: treatment would be less expensive than in the States, and there his wife has family in the medical community. So we began a rush to pull all the finances together. A few days ago Josué was discharged, but the antibiotics are still being administered intravenously every 12 hours. He and his wife are in a small apartment within walking distance of the hospital. There are many expenses related to this medical emergency, and all the funds used to medevac Josué need to be reimbursed. We want to thank many of you who have been able to help us in this situation already. Please continue to pray for Josué and pray that all the borrowed funds can be replaced. Praise to the Lord! Josué stands a very good chance of being fully released from the medical care in Cuba by the second weekend in March. Please pray that all will be well with his health by then. He and his wife are so eager to see their children (ages 6, 4, and 1), whose grandparents have so wonderfully cared for them during this long absence. We praise God for keeping them so graciously!